Childproofing your home is crucial before your newborn enters it. Don't panic. We've assembled all the tips you'll need to have a safe and baby-friendly home. As a parent/guardian, it's your job to remove as many potential dangers to children around your home as possible. Childproofing your home can be a demanding task, but it needs to be done before a newborn enters the home. 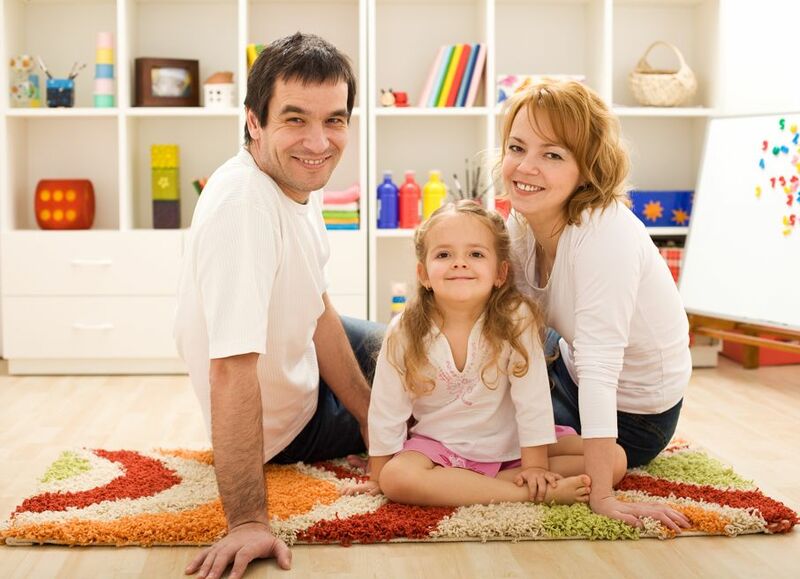 In this article, we’ll be covering some of the most important tips for childproofing your home. The first thing you should do is check the locks and latches of the rooms in your house. You don’t want your children getting into the garage or opening the door to the basement, so you need to be sure those doors (and any other doors that lead to dangerous areas) remain closed and locked at all times. You may need to get new locks or special latches for certain doors so your children can't open them. You should also place childproof latches on all of the cabinets in the kitchen and the bathroom. If you have cabinets in the garage or basement, put latches on those too -- even if you plan to keep the doors locked. Kids can be determined to get into places they shouldn’t, so having extra security is never a bad idea. Get an appliance latch for your refrigerator as well. This will ensure the kids don’t get into it. The latch is easy for adults to manage, but prevents children from opening it and trying to climb up the shelves to reach a forbidden snack they're not supposed to have. Your home has a number of outlets that little fingers could find their way into. Avoid this situation. Stock up on outlet covers. They are a cheap home improvement and are easy to install. 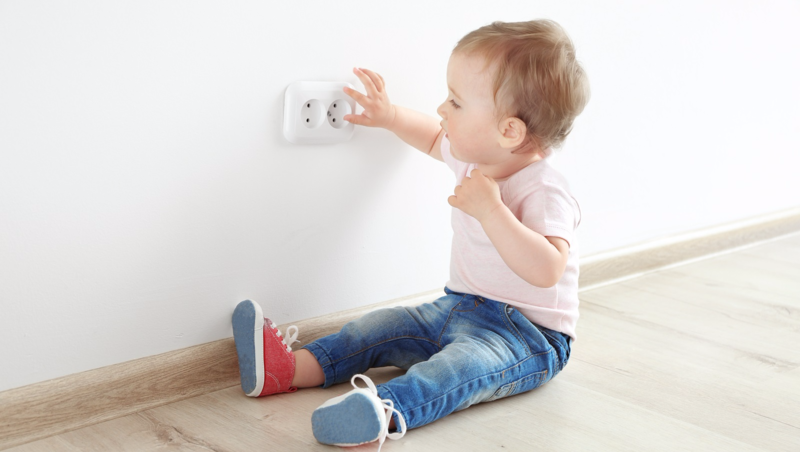 It's good to get into the habit of putting these in all of the outlets in your home, even outlets that are seemingly inaccessible to your children. 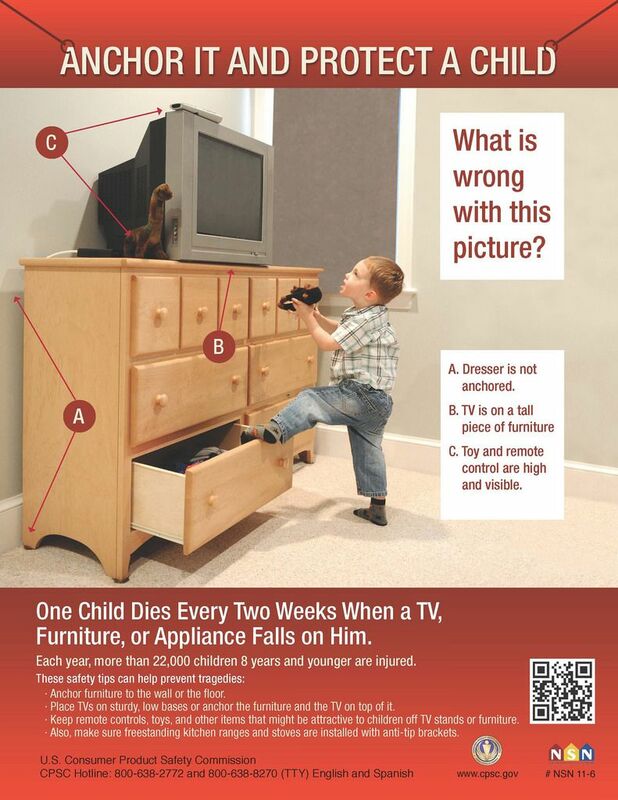 Too many children are seriously hurt, and even killed, by falling furniture and appliances they manage to pull down onto themselves. It's important to anchor heavy furniture and appliances like TVs to the nearest wall to prevent them from falling on top of an innocent child. Furniture wall straps are a a quick, inexpensive, and easy way to prevent a lifetime of regret. Toddlers have their own agenda. If they want to go somewhere, they can find a way if left to their own devices. After all, they’ve just learned how to walk and are determined to use those legs! A baby gate is essential. You may find that you want to have more than one of these around the house. Having a gate to keep the kids from getting out of their bedroom, or too close to the stairs, or from going into the kitchen while you're cooking. 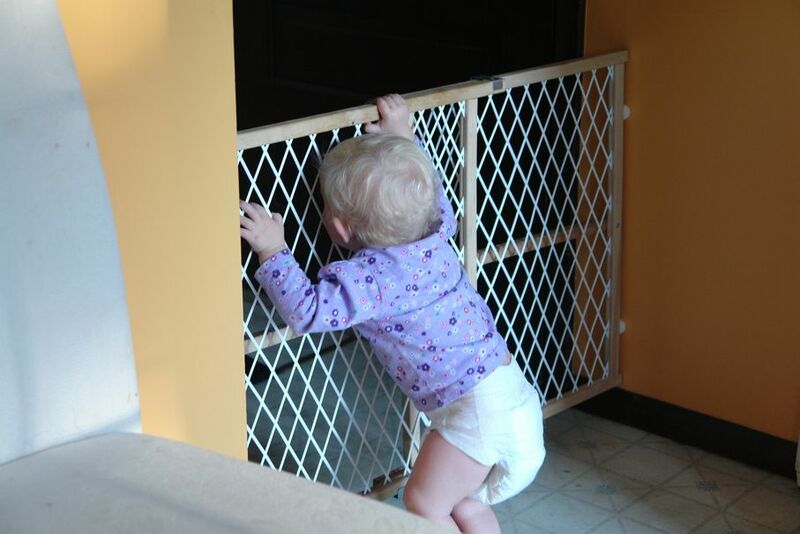 When you are choosing a baby gate, you will want to make sure it's durable and that it has a latch too complicated for your toddler to figure out. You might be surprised at how quickly kids can figure out a baby gate latch that’s too simple or too easy to reach. After you’ve gone through the house and removed everything you think might be dangerous, you should really go back through and look at things again from a child's perspective. What are they going to see when they walk into the living room that might be tempting? Are there any objects they could get ahold of and injure themselves with? Ideally, you should re-check your home's security regularly, and remain vigilant when it comes to your child's safety. Even when you are 100% sure that your home is safe for kids, don’t bet on it. No matter how good of a job you do, there is always the possibility that they could get into something they shouldn’t if you're not careful. Always keep a lookout for ways you can improve the safety of your home for the little ones.